The Cancun Synagogue - Chabad, known simply as The Shul, attracts Jewish people from every conceivable background. Serving as a spiritual home for every Jew. Services at Chabad are user-friendly, explanatory services open to all; no experience required. Mincha - Kabolas Shabbos at candle lighting time. Followed by Shabbat dinner. Shacharis 9:45 am. Services followed by a Kiddush/Lunch. Mincha & Maariv followed by Havdalah. Please confirm Minyen times before scheduling your travels. 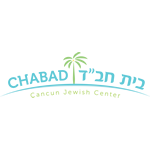 HOTELS NEAR CHABAD CLICK HERE, KOSHER IN CANCUN CLICK HERE.